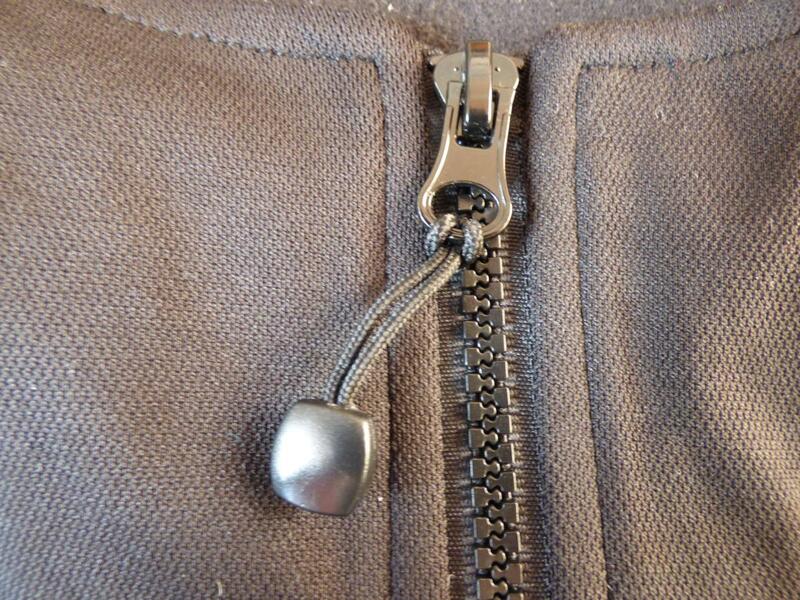 The Gi Vezzoo (above) sizing erred on the small side, an issue which has now been rectified with the SuperVezzoo redesign. There are 6 sizes now compared to the previous 5: XS, S, M, L, XL, XXL (SuperVezzoo XXL is bigger than XXL in the previous version). This is because of your feedback - it is what you asked for and what we have now delivered. What makes the SuperVezzoo heated vest the best? 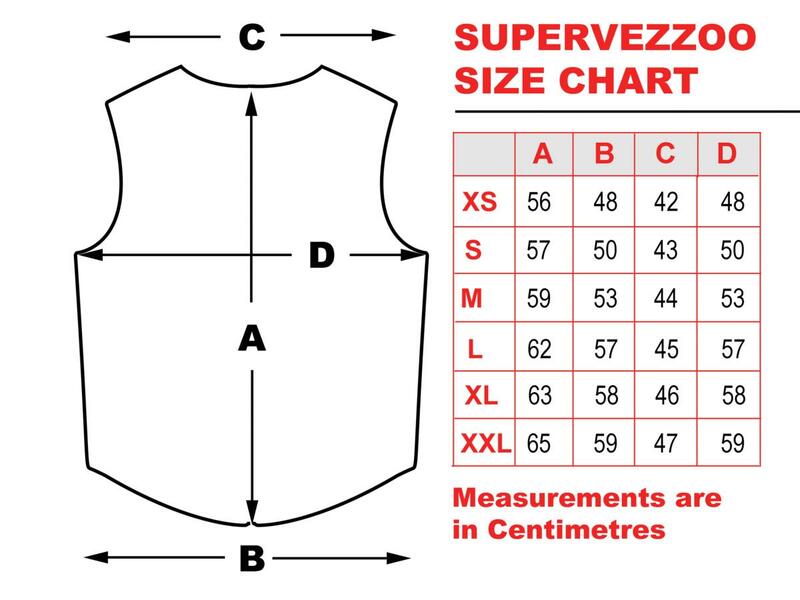 Vezzoo Vests may not be the cheapest but they ARE the best - the G2 SuperVezzoo vest has two heat panels at the front across the chest and two on the back, one upper, one lower. SuperVezzoo now lasts 4-5 hours at maximum battery power in continuous use, compared to the previous 2-3 hours at 40-50c. 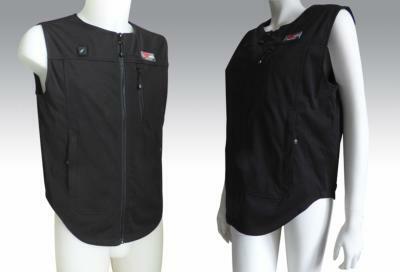 Great for bikers, hill walkers, yachtsmen and women, this battery heated vest has everything to please you. Also, adventurers, explorers, sport fans, hunters, climbers, outdoor photographers, bird-watchers...and many other people can use it. We provide a full range of battery heated vests - to be discovered now. SuperVezzoo batteries now last 4-5 hours on one charge at maximum heat in continuous use at 40-50c! - Next Level 6-7 hours at 30-40c. - Next again 8-9hrs at 15-30c. - New battery increasing heat level, and longevity to 4-5 hours at maximum, in continuous use. 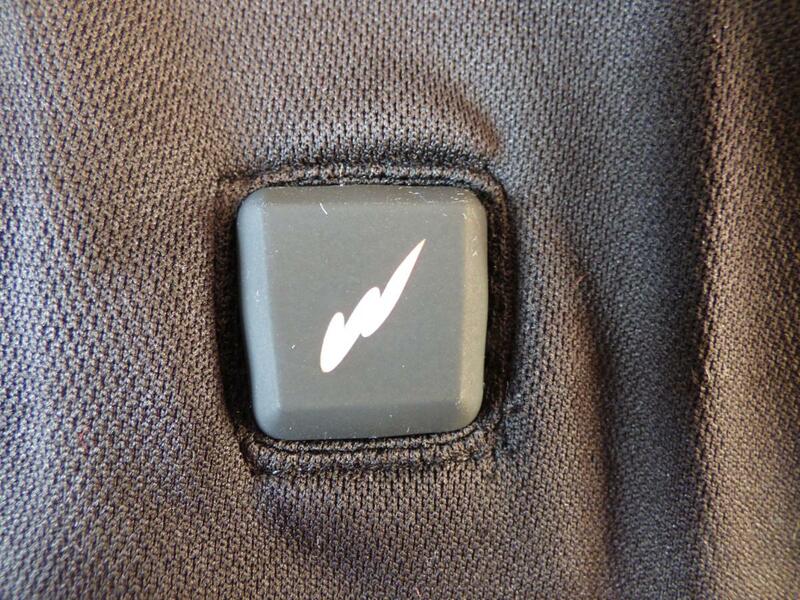 - New light weight fabric, meaning it fits more easily on top of a vest and under a heavy jacket. We've clipped the hip areas, guiding the waistline round in an arc, now preventing upward hip pressure on the vest, especially helpful for motorcyclists. 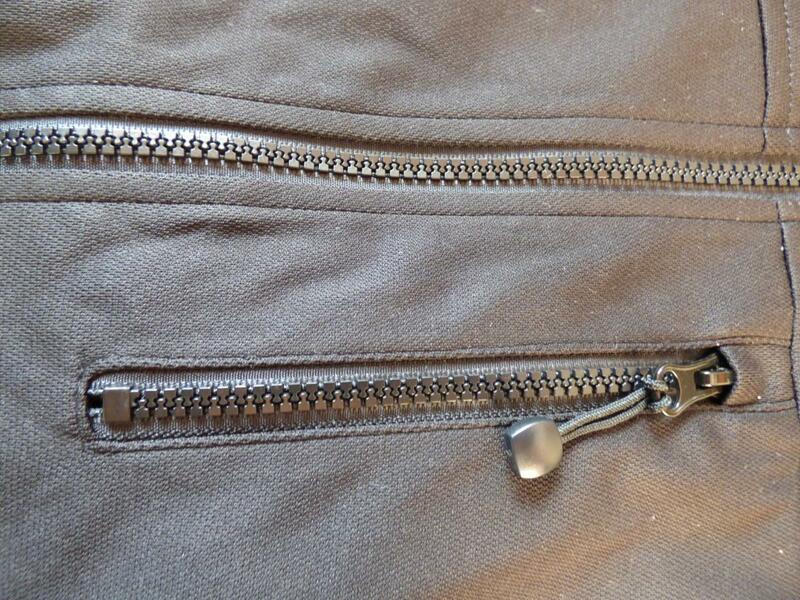 More pockets have been added, with cool, strong, zips. The battery pocket and temperature button control have switched sides from the left to the right helping bikers, in particular, change temperature while moving without needing to take their hand off the throttle as with the previous version. - The battery pocket has more space - the previous version is manageable but a bit tight. - 6 sizes now compared to the previous 5: XS, S, M, L, XL, XXL (SuperVezzoo XXL is bigger than XXL in the previous version). - Easy push-button Heat-Control with three colour-coded heat levels: red, amber, green. - Powered by one small and lightweight rechargeable 7.4V, 4400 mAh Lithium Ion Battery. - Great heat - two heat panels front and one large panel on back. - Battery comes with dedicated charger and can be recharged 500 times before replacing. - Certified CE and ROHS Compliant..
- Fashionable, stylish and 'cool'. - Totally safe (but don't go for a swim wearing your Vezzoo).